It’s big adventure! It’s big laughs! 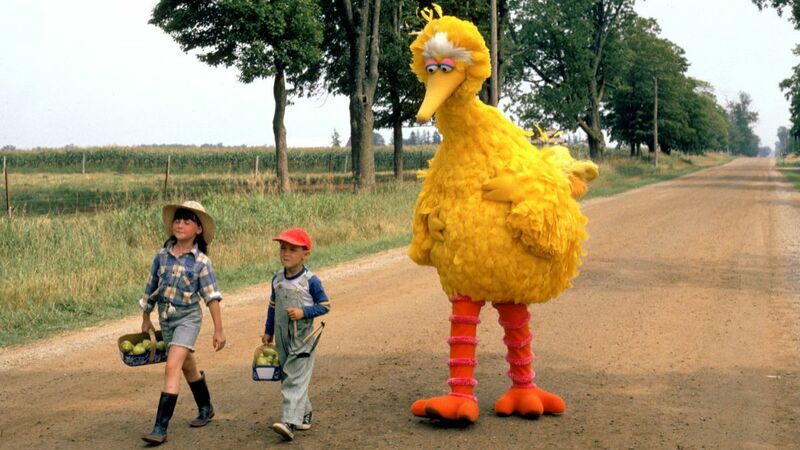 It’s Big Bird on the big screen with Follow That Bird screening in 35mm September 17 & 18. Follow That Bird: it’s a road movie. It’s a musical. It’s a fully realized homage to the suspense, melodrama, action and even exploitation genres. 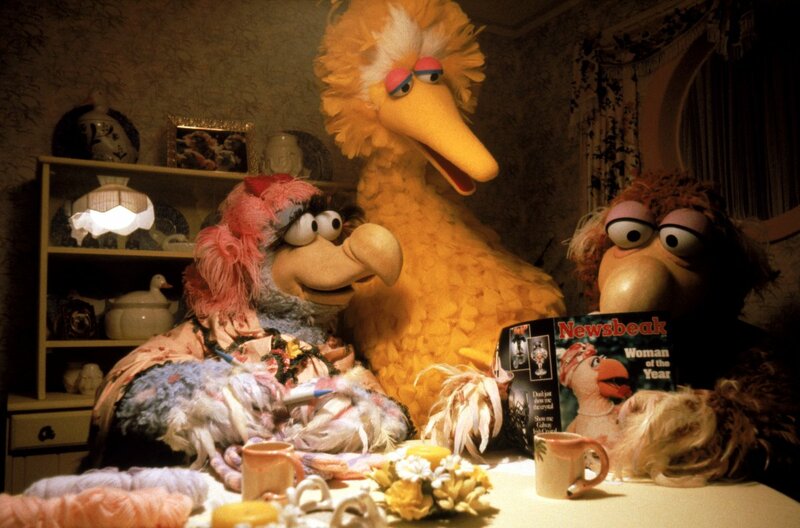 Yes, this Children’s Television Workshop film starring the inimitable Big Bird is one of the most multi-faceted and under-appreciated children’s films of all time. Muppet fans of all ages are uniquely devoted to the “major titles” in the Jim Henson oeuvre: films like The Muppet Movie (James Frawley, 1979), Dark Crystal (Jim Henson, 1982) and Labyrinth (Jim Henson, 1986) have certainly taken main stage over the years and become the Henson Canon. However, this wonderful film birthed from Sesame Street, Henson’s beloved long-running television show, should not be disregarded. Playing at the New Beverly this weekend for the Kiddee Matinee, Follow That Bird (Ken Kwapis, 1985) will be on the big screen in fabulous 35mm! 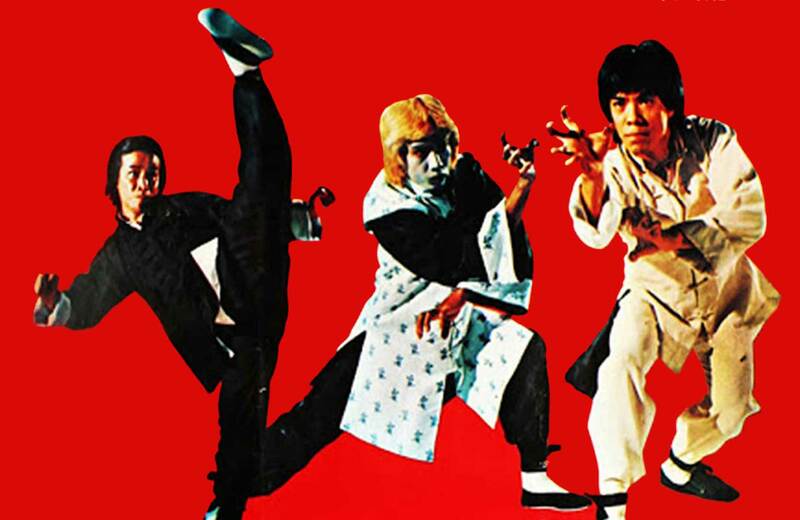 We invite you to attend and revel in its full-feathered glory and see why it is a hidden work of genius for both adults and children and was simply ahead of its time. 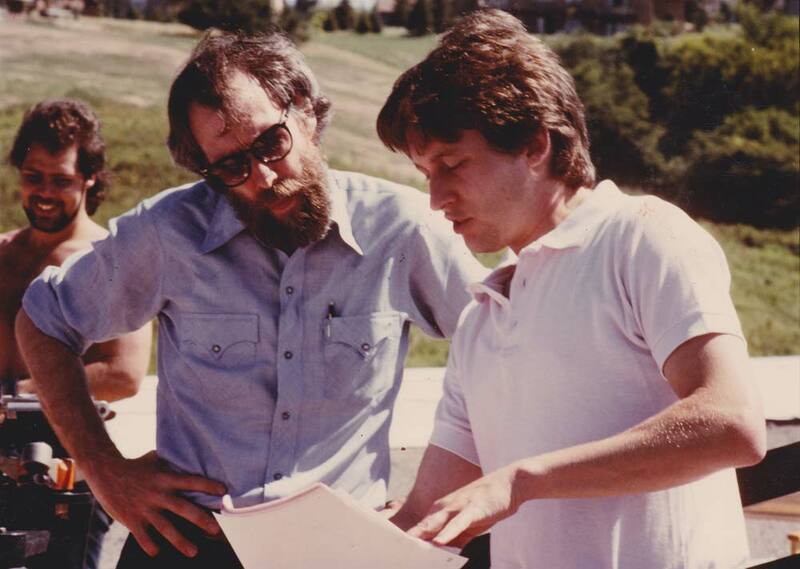 A little background: it was the first feature film for director Ken Kwapis, who was 24 years old at the time and making after-school specials. It was also, sadly, the final Muppet-related film to be released before Jim Henson’s death in 1990. Shot in Toronto, the film utilized many of the puppets and puppeteers from the Fraggle Rock television program that Henson had shot for HBO in Canada. When released, Follow That Bird did quite poorly at the box office. Of course, it didn’t help that it was going against Weird Science or Fright Night but one might think that there were different audiences attending the Sesame Street film than the teen thriller or John Hughes’ classic. 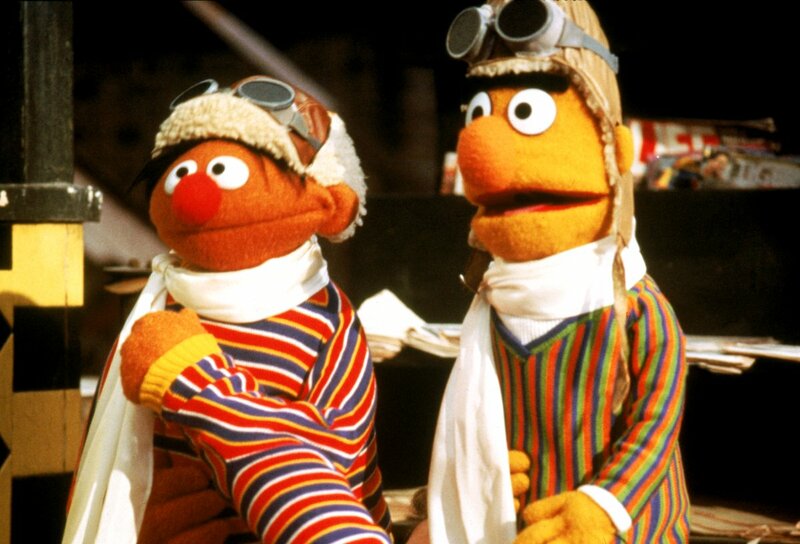 It was also the theatrical debut of the television show Sesame Street, which had debuted on PBS in 1969. So Follow That Bird was a big deal as it went ahead and created a longer and more in-depth narrative utilizing familiar and highly cherished characters. Follow This Bird is striking and dynamic. 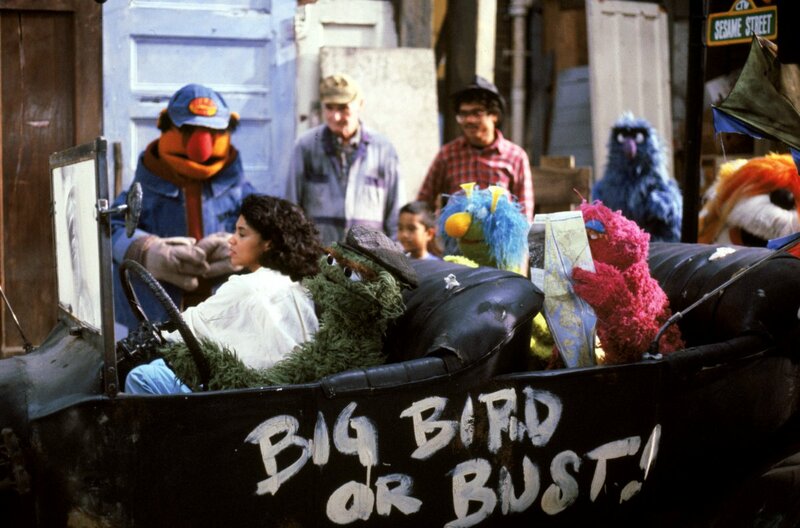 Following the formula of Henson’s other Muppet delights, this G-rated picture features cameos by some of the most talented and wonderful performers of our time: Waylon Jennings and Big Bird’s duet is a classic, fitting right into the road movie/escape narrative. Jennings’ well-known country persona works perfectly with Big Bird’s easy-going identity and one almost dreams of a Jennings/Bird buddy film! Sandra Bernhard plays one of the “Grouch-iest” waitresses you could ever want (although Maria and Telly may express different sentiment), alongside Paul Bartel as the Grouch chef. 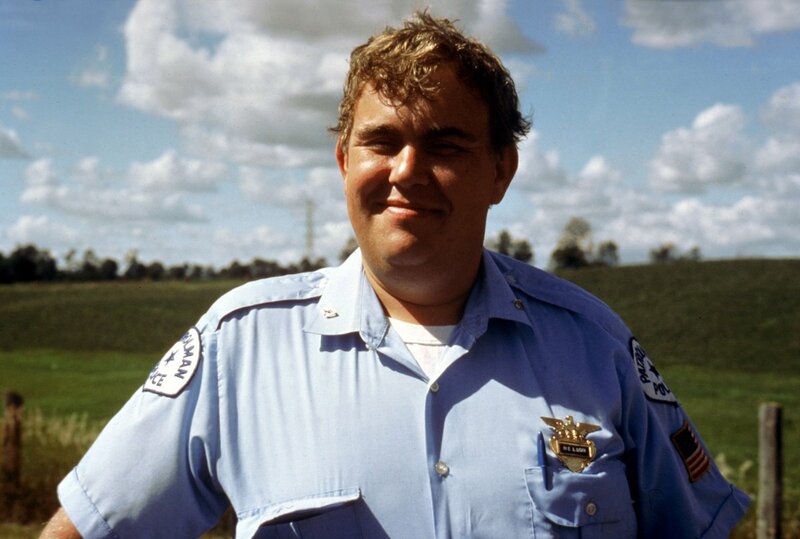 The star-studded cast continues with John Candy, Chevy Chase, and so many more. The film pops with talent. This is a Sesame Street film and it will delight you. In no uncertain terms, it is a wonderful film to bring kids to. It’s Sesame Street. It’s Big Bird. Mr. Snuffleupagus, Telly, Oscar the Grouch, Grover, everyone. Maria and Bob and Gordon will be there. The entire crew! But there is an entirely different reason to revisit this film as an adult: it is cinematically winking at you the whole time. From the beginning of the film when Oscar gives a speech in front of an American flag (directly referencing Franklin J. Schaffner’s 1970 film Patton) to the scene where Ernie and Bert are trying to find Big Bird and they end up in an airplane re-enacting the classic scene from North by Northwest, the entire film is a collection of film genre references. 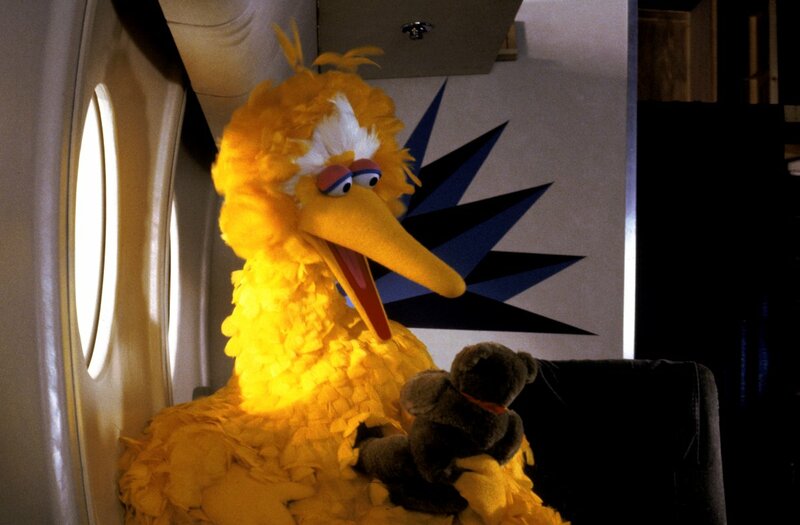 And while this may seem shocking, let’s face it: Big Bird’s kidnapping (birdnapping?) and exploitation by the Sleaze Brothers seems to be a barely veiled reference to exploitation films. Whether it is consumerism writ large or grindhouse cinema specifically is up in the air but the exploited young kid (bird, in this case)… well, how many times have we seen that in a low-budget 70s/80s picture? It’s as common as the mustachioed villain in silent films. 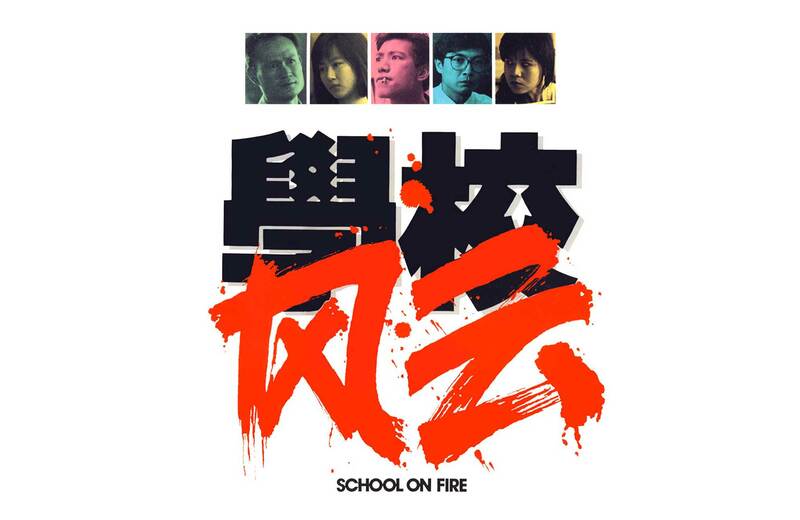 Within the text of this film however, it is much like the other film references – quiet, unobtrusive, and contextualized. Each genre reference or specific homage in Follow That Bird is woven into the film text with immense skill and care. This is why the film works for all-ages.